Happy Monday, y’all! Hoping everyone had an amazing weekend. Daarik and I spent the entire weekend at home, which was so nice. I’m a home-body anyway but when I can talk him into doing nothing with me, it’s twice as nice! We’ve been giving our home a little face-lift, we’ve painted, pulled up carpet (with help from my amazing mother-in-law, thanks SheShe) moved furniture and picked out new carpet. Soon, very soon we’ll be putting together baby Gray’s crib and glider and painting his changing table. With just 13 weeks until he gets here, we’ve been doing as much as possible to prepare! And speaking of preparing for our babe, I’ve also been preparing my shoe closet by purchasing as many flats and espadrilles as my little heart desires (sorry sweet husband)… 😘🤗 I completely justify my shoe buying with the fact that I’m going to be running around constantly and NEED flats! Haha!! Target has been my go-to recently because, hello extremely affordable prices! 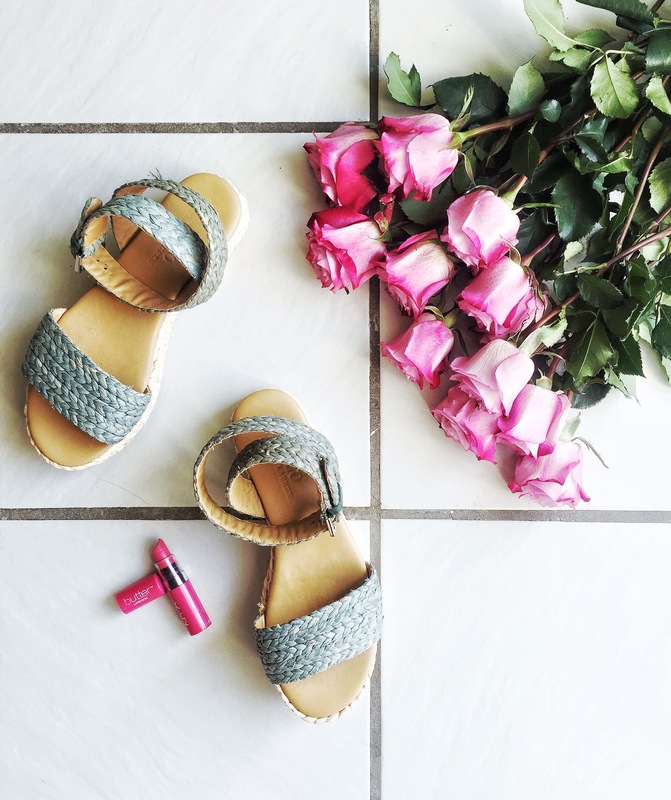 Are there any stores that are your go-to place to stock up on summer flats?? I’d love to hear!! Thanks for stopping by friends, have a wonderful week!